October 2019 marks the 75th anniversary of liberation of Norway’s northernmost region from Nazi occupation by the Red Army. Foreign Minister Sergey Lavrov is likely to represent the Russian government when the two countries together will celebrate that Soviet soldiers were the first to fight out occupation forces from Norway in 1944. The foreign ministry in Oslo says to the Barents Observer that there is a good dialogue with Russian authorities about the 2019 celebration. Kirkenes was the first Norwegian town to celebrate freedom when the Red Army arrived on October 24th and Nazi-German forces retreated to further west and south in Norway. 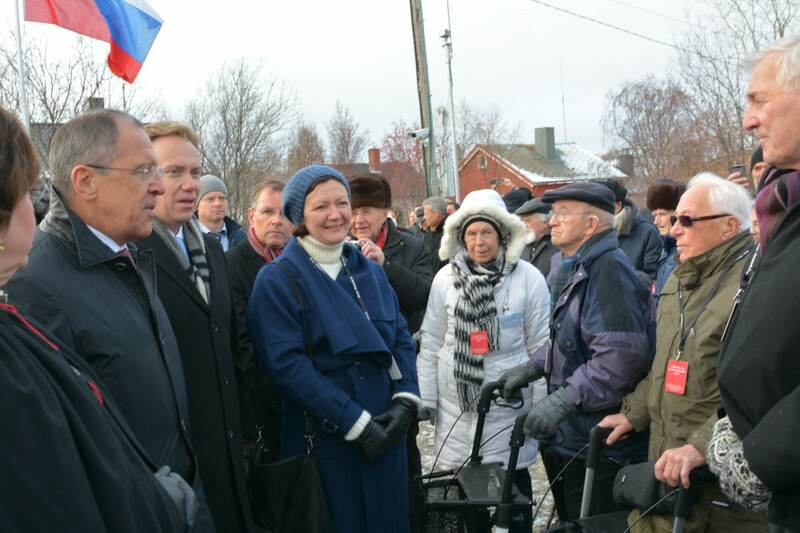 Sergey Lavrov was also present in Kirkenes when the 70th anniversary was marked in October 2014 (see above photo). Like in 2014, high-ranking Norwegian officials will also next October welcome the Russian Foreign Minister. Then, the Norwegian King, the Prime Minister and the Foreign Minister participated. 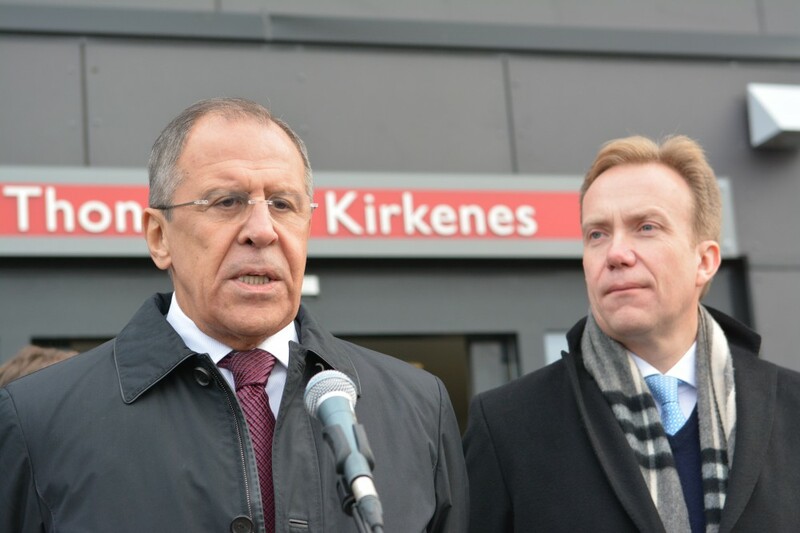 The Russian Foreign Minister has not been in Norway since 2014, while Norway’s Foreign Minister visited northern Russia three times last year after a three year pause in meetings following the annexaction of Crimea and war in Eastern Ukraine. Press spokesperson Frode Overland Andersen with the Foreign Ministry in Oslo writes in an e-mail to the Barents Observer that Norwegian and Russian authorities have had a good dialog about next year’s liberation anniversary in Finnmark. “As like previous celebrations, Norwegian authorities will be represented on high-level in Kirkenes,” Overland Andersen says. “Prime Minister Erna Solberg brought it up with Prime Minister Dmitri Medvedev when the met last week (in Brussels). The question has also been brought up with both the Russian Foreign Minister and the Deputy Foreign Minister,” Overland Andersen says.